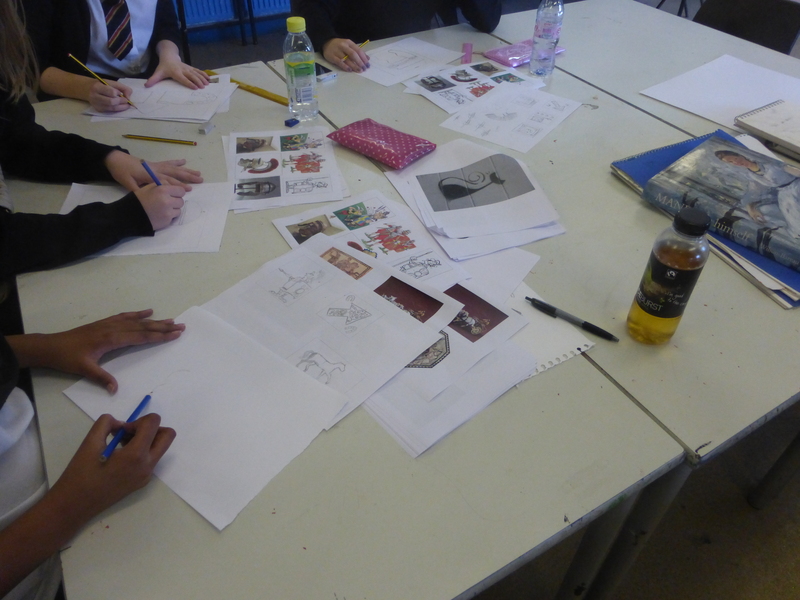 In late December 2013 CAER Heritage Project director Dr David Wyatt and project artist Paul Evans visited Michaelston College and Glyn Derw to brainstorm, design and develop the first two way-marks for our HEART of Cardiff trails. 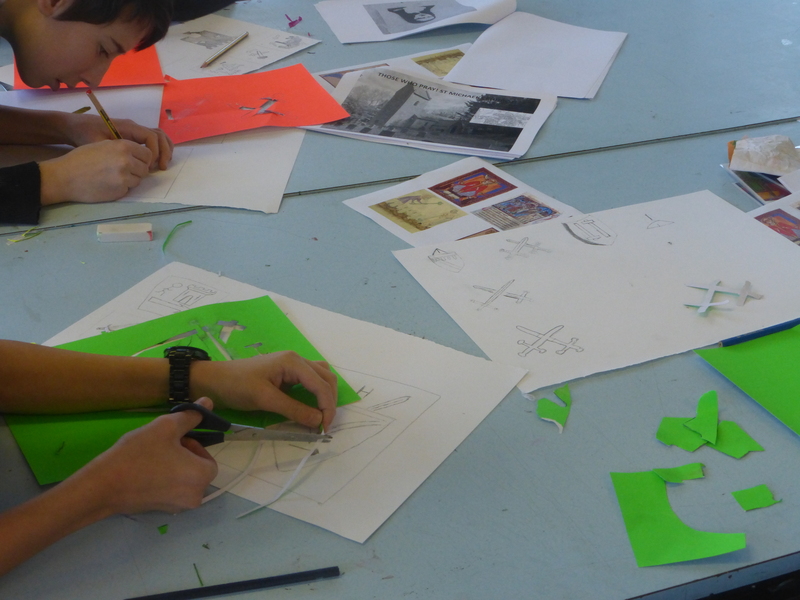 These intensive creative workshops focussed on ‘Medieval Michaelston’, a circuit that takes in St Michael’s Church and a deserted medieval village in NW Ely, and the ‘Romans to the Races’ trail that will take in the area around Trelai Park. 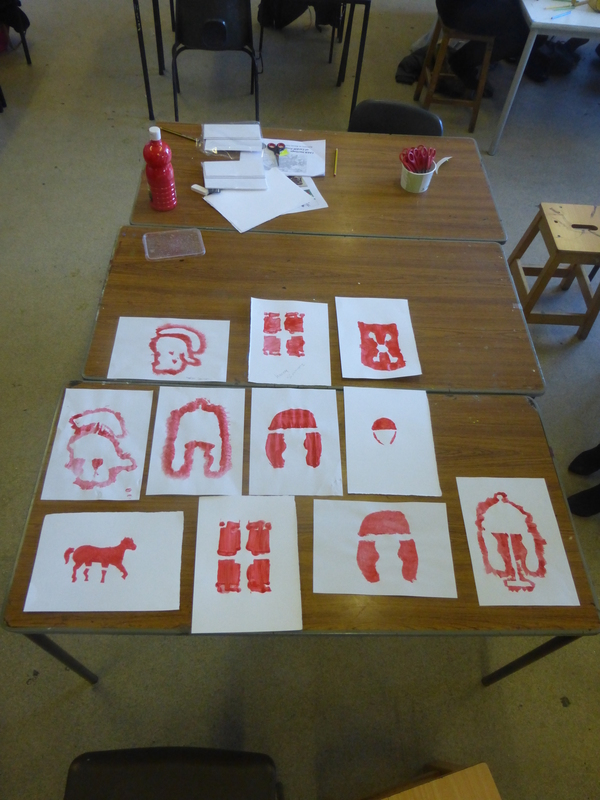 After a concise talk by Dr David Wyatt, the young people made a series of quick thumbnail sketches (this part of the workshop was very similar to the first stage of the Tribal Logo Project that we led at St Fagans in March 2012). 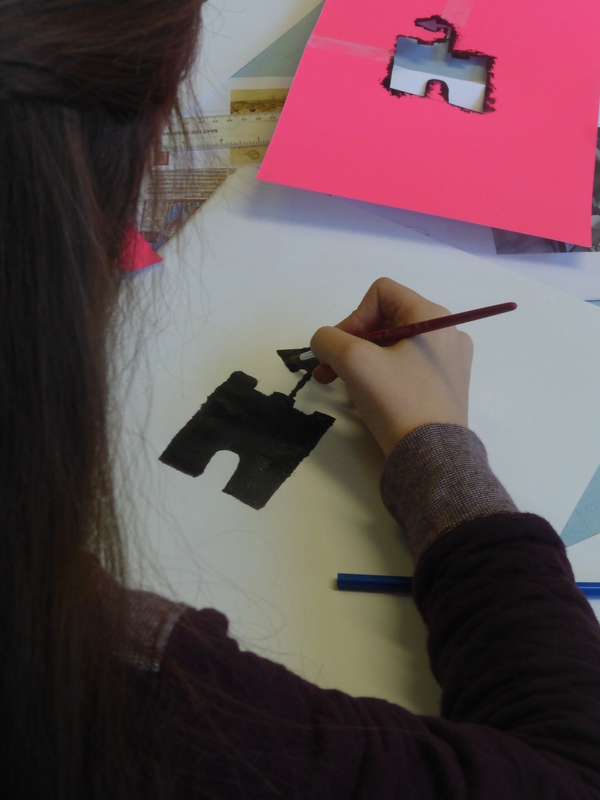 The young people then selected their favourite thumbnail sketch and were given guidance on how to convert this design into a simple motif, suitable for stencilling. We think that the finished designs look great – and we have been talking about our favourites – but we would really like to hear from you: which of these designs will make the best way-marks for our first two heritage trails? 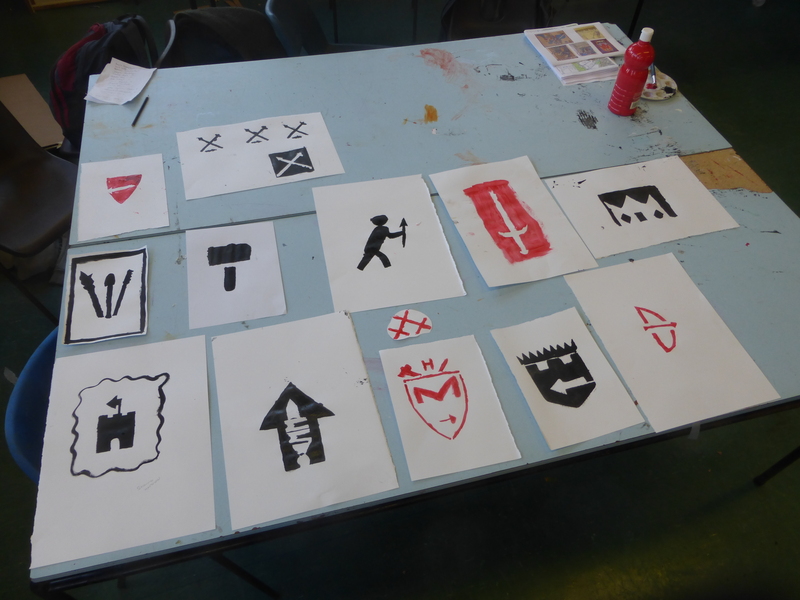 Stencil way-marks for the Medieval Michaelston heritage trail by pupils from Michaelston College.